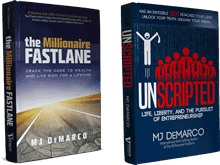 Discussion in 'The Unscripted Entrepreneurial Mind' started by MJ DeMarco, Feb 18, 2015. If you have been linked to this post, there’s a reason why. From this point forward, I will officially ignore any post that contains any variation of “is this Fastlane?” And the sad fact is, most regular contributors here already do so. I thought I should speak up why I don't respond to these. First, anyone who asks such a question has clearly misinterpreted my book. From a strict interpretation, with zero room for gray area, the answer of “is this Fastlane?” has already been answered in the book. Reread chapters 29 and beyond. Second, the question “is this Fastlane” implies that some idea in your head is Fastlane. Such could be further from the truth. No idea is Fastlane. And no idea will ever be. In fact, a well executed “NON-FASTLANE” is 10,000% better than a zero-executed idea that you *think* is Fastlane. Think of it this way: If "Fastlane” was a bike ride across the country, asking the question “is this Fastlane” is akin to sitting down on the bike and staring at the garage floor. So in effect, asking “is this Fastlane” is NOT FASTLANE. 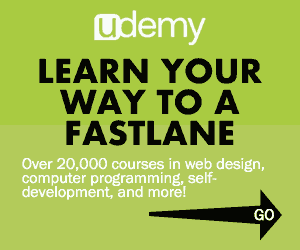 Expanding your experience, knowledge, and wisdom in a daily effort IS FASTLANE. When I see these threads “is this Fastlane?”, I literally want to close the browser and come back tomorrow. And please, it’s nothing against you. It’s just that “is this Fastlane” is becoming one gigantic excuse NOT TO DO ANYTHING. If you think you have a great idea that isn't Fastlane and you have zero experience in life, by all means, go for it. Quit worrying about Fastlane this, and Fastlane that. “Oh, it doesn’t meet the 5 FL Commandments, so I’ll do nothing until I think about the next greatest idea." Some of the most popular threads here aren't Fastlane per se'. But they are Fastlane from the perspective that someone is DOING SOMETHING to improve their life. And that, puts you leaps and bounds ahead of most people. Folks, Fastlane is not something you do. Fastlane isn’t something you try. And it certainly isn’t some great idea you think you have. Fastlane is about building your story. Your failures, your trials, and your errors. If you’re a seasoned entrepreneur, yes by all means, use the Fastlane commandments as your guide. However, if you’re 20 years old and have NEVER STARTED OR ACCOMPLISHED ANYTHING, by all means, do SOMETHING— ANYTHING to ramp up your experience. "Fastlane" shouldn't really be much of a consideration. The truth is many Fastlane's don't show themselves as Fastlanes until someone has hustled their a$$ off for years... and then suddenly, like magic, they appear. And they appear because someone trusted the process of action over the promise of events shimmering in the guise of "Fastlane". Get out there and engage. PS: Tagged GOLD because it needs to be read. Dark Knight, JunkBoxJoey_JBJ, Ernman and 248 others like this. Man, this is killer. Thanks for this. Im not going to lie, I have asked myself this question about my own business - this really puts things in perspective. Santi Merino, Galaxy16, AlessioLC and 16 others like this. Fast lane to me is more of a mindset. It's something I couldn't see before MJ opened my eyes. Like the man said, go do something. Roz, Bobby Khaleque, Iammelissamoore and 12 others like this. Oh, thank God. You wrote pretty much what I would like to explain every time I read that question, but never care enough to do so. All it matters is cash. Are you making cold hard cash hand over fist? Then keep doing it. Are you not? Then re-evaluate. Can't be simpler, really. Asking yourself "should I do this, since it doesn't respect the N/E/C/T/S commandment?" is pure, simple procrastination. Because if you are asking the question, it means you have the time to do it. So if you didn't you would just waste that time. Time doesn't stop, you either take action or waste it. redshift, Robert321, Cognitive Corgi and 14 others like this. Please put... Must read in the title..
or just creating a high paying job for yourself. I believe that most if not all ideas have the potential to meet the CENTS commandments eventually. But most don't meet the commandments at the beginning. Especially time. Anything will require a lot of your time to get started. If you get creative, you can make any business fastlane. Therefore, pick an idea and just start. You can worry about the fastlane thing later. Jacek, Eisenstein, Sonia Perez and 7 others like this. This right here explains why certain commandments may actually need to be violated to start out. In my current venture, I am lacking control. I am working hard to regain that. Once I do, my business will be on the right path. AndreHimself, Fotis, cawr and 14 others like this. Fastlane is what you make it.Everybody is going to get a different angle of meaning from the book.First and foremost any endeavor is going to require a persistent action and a well developed plan.The book is meant to inspire and open your mind to a much broader horizon,at least that what it has done for me.Everybody wants a solution,but fail to realize it is the formula that is the most potent. Mattie and MJ DeMarco like this. Santi Merino, Eisenstein, Deanboe and 1 other person like this. I wasn't going to read this because the headline was "Is this Fastlane" but you suckered me in with the GOLD. Santi Merino, Colin Panarra, Daniel A and 7 others like this. This is probably one of the biggest traps new wantrepreneurs, like me, fall into. This new lifestyle demands new criteria, and we focus on the wrong things, assuming that its not how we are doing it thats wrong, but what we are doing thats wrong. This post helped me out a lot. Thank you MJ! Late Bloomer, Sonia Perez, JuliaLV and 1 other person like this. People don’t take action because they’re waiting for *someday*. Someday I’ll start a business, someday I’ll do this or that, etc. The problem is, *someday* never comes. Making plans but not acting on them is dangerous and paralyzing. Make *someday* today. visiomari, CoolAV8R and Mattie like this. ngsquare, Bellini, jon.a and 1 other person like this. "God dangit just work. Just work. Don’t wait. Everyone wants to wait until they have the perfect idea to start working. Even if you have an inkling of what you want to do, start moving towards it. It’s going to flesh itself out through the process of moving towards the goal. By the time you get to where you’re going to be, it’s not going to look anything like it did when you sat on the couch thinking about it. If you wait until it’s perfect in your head before you get off the couch and start working on it, that’s never going to happen." visiomari, Hugh Nivers, Michael Moore and 4 others like this. However, if you’re 20 years old and have NEVER STARTED OR ACCOMPLISHED ANYTHING, by all means, do SOMETHING— ANYTHING to ramp up your experience. "Fastlane" shouldn't really be much of a consideration. Words I need to live by right now. Your business may not satisfy all of the commandments, but just knowing them, being aware of them and possibly aligning even one of them can create a massive difference, and has in my case. But it all means naught if you do nothing. Test, fail, succeed, improve, repeat. Eisenstein, Kingmaker, MJ DeMarco and 1 other person like this. Control. Many people cheat on this one. However, I can tell you that when I lost control of a company, it got taken in a hostile takeover. Today, my business is too dependent on other people's venues like Amazon (loss of control, again). Control is a hard one to master, but provides security. Entry. If you don't have barriers to entry, your business can be killed by someone who is smarter, faster, better financed, and better operating. There is one high flying example of this I have witnessed from a forum member over the last couple of years that got beat at his own game due to ease of entry. Need. If you cheat this one, you lose. The #1 reason businesses fail is they don't have a basic value proposition or need. Time. It's not manditory, but it keeps you from working 70 hours a week for the rest of your life. The single largest gift MJ ever gave me was when I learned the concept of separating time from income. Scale. I am convinced you can't skip this one either. If you can't effect masses of people, you create a much more difficult path towards making masses of money. The two that I see as softer rules are control and time. However, I will reflect on the TIME commandment some time this week while I am sitting at the beach and you are at work. handog, Roz, fmob007 and 20 others like this. I'm still trying to figure this one out. It's bitten me multiple times already, and it's definitely the most difficult to master. Each time Amazon decides to put an "item under review" I'm stressed out the entire time. Control can't exist with Amazon in the distribution strategy. Double edged sword. Sander and ZF Lee like this. If I had you pay for your wisdom I would be indebted for entire life. Thank you for your knowledge and sharing it with us - this is invaluable. Roz, cheeky ram, goldstein and 2 others like this. i have always thought that the universe owes me something, the good life , whatever. i thought i could not achieve anything worthwhile in my life until i read your book. the reality is now i will be 40 in 2016 and my life is a mess. it's time to wake up. your story is inspiring. i have a clear goal with a dateline and a vision for my life. visiomari and ZF Lee like this.